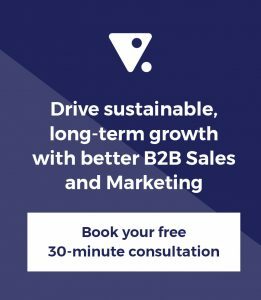 Is Outbound or Inbound Marketing Best for B2B Marketers? https://align.me/wp-content/uploads/smarter-b2b-marketing.PNG 571 558 Chris Fell https://align.me/wp-content/uploads/align-me-logo.png Chris Fell2013-04-08 23:16:062018-03-14 14:32:21Is Outbound or Inbound Marketing Best for B2B Marketers? https://align.me/wp-content/uploads/FMBLOG.PNG 196 536 Hugh Macfarlane https://align.me/wp-content/uploads/align-me-logo.png Hugh Macfarlane2013-04-03 03:40:032016-12-13 05:20:25How can B2B marketers get a seat at the table?